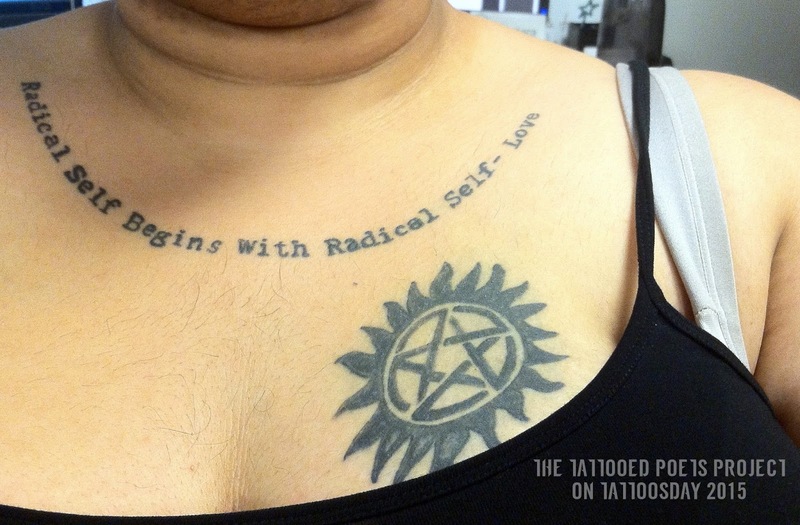 "I got 'Radical Self Begins With Radical Self-Love' after my partner got it, and I wanted the reminder on my skin as well. Under that is the anti-possession symbol from Supernatural, which my partner and I got together because we're both fans of the show. 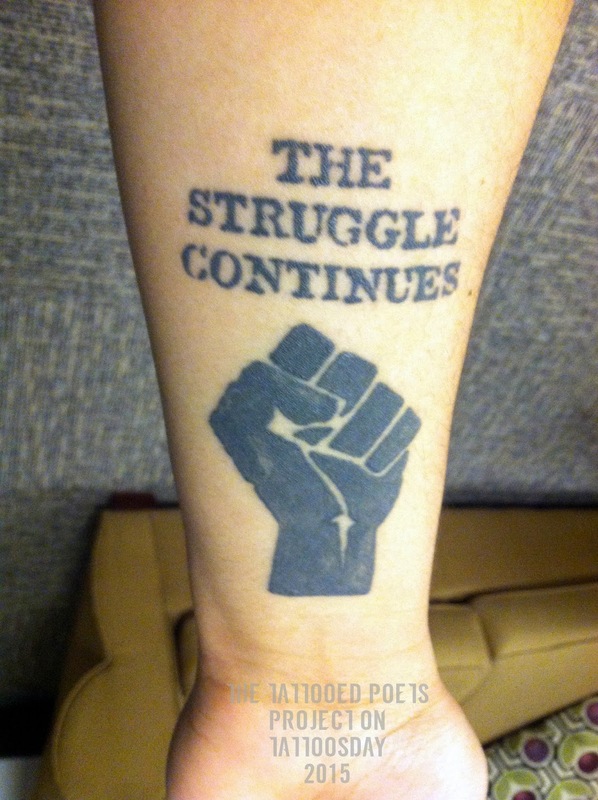 On my forearm is 'The Struggle Continues', and a Black power fist, which I got as a very visible badge of my politics, and as a reminder to myself that there's still so much work to do in the world, not just on racial justice, but on LGBTQ+ equity, disability justice, socioeconomic stratification, and more." Tessara credited her work to "the talented Levi Greenacres at Skeleton Key Tattoo in Portland, OR." A writer, educator, and activist living in Portland, OR, Tessara Dudley writes poetry and personal essay from the intersection of working class Black queer disabled life, and hopes her art will help to build a better world. She can be found at http://tessaradudley.com and the small press she founded is at http://mourningglorypub.com. Thanks to Tessara for her contribution to the Tattooed Poets Project on Tattoosday!